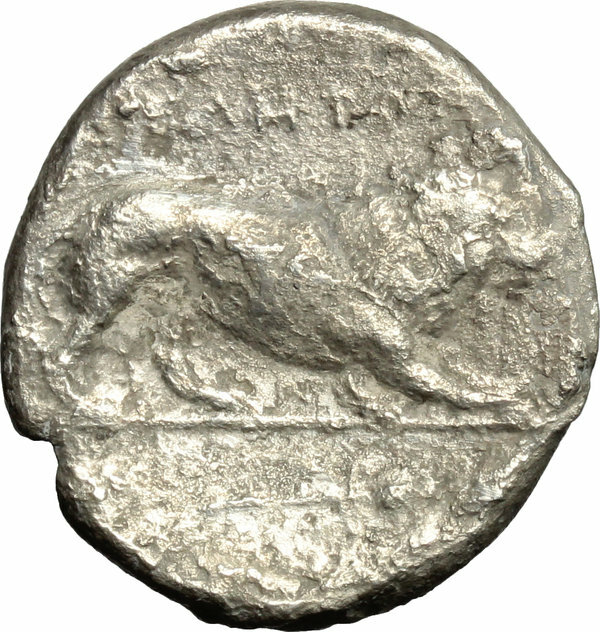 Coins 23 Greek Italy. Northern Lucania, Velia. 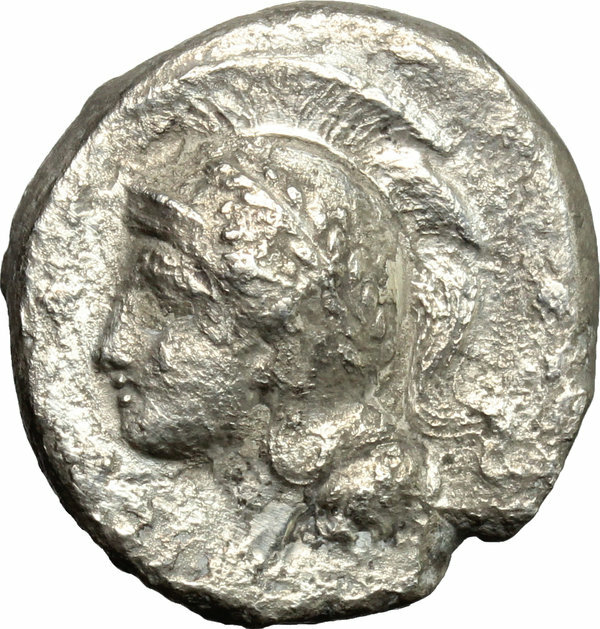 AR Didrachm, 400-340 BC. D/ Head of Athena left, helmeted. R/ Lion standing right. HN Italy 1282. AR. g. 6.72 mm. 20.00 F.